As you may know, we have cancelled the market planned for this coming Saturday 4th October, as we did not have enough stalls booked in by the booking deadline last Saturday. We apologise if you were looking forward to coming along, and we are planning on launching a bigger and better monthly Saturday event in Wynnum as from November, subject to Brisbane City Council approval. Thank you if you took part in our survey about the market (we had a big response) – and, even though we had a lot of positive comments about the market, we have taken several of your comments and suggestions into account in planning the new event. At this point the plan is still to close off Edith Street, but to hold the market in the afternoon and early evening. This will avoid the heat of the middle of the day and also allow families whose children are involved in sport in the morning to come along. There will also be a greater food component and those Wynnum retailers who would like to support the event are welcome to stay open longer on market days. We may also move the day – at this point the second Saturday of the month is the most likely choice. 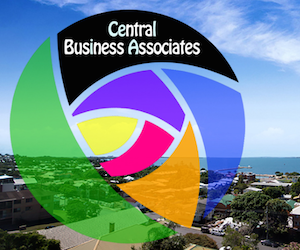 Is Wynnum Central a 'business centre'? I think your arrangement for different hours, particularly viable, as timing is everything and we are moving into summer. Food now will be part of Arts and Craft. Does that mean that Yoga, one of the world’s most profound healing sciencse is not part of your scheme. I think it’s a great idea, David. Running events on a Saturday morning is always a challenge, mainly because families with school age children usually have sporting commitments at that time. Running an afternoon/evening markets gives Wynnum Central traders who are open on a Saturday morning customer vehicular access to Edith Street (and hopefully they will embrace the opportunity and stay open for the afternoon/evening markets). You are also giving market patrons an option to make Saturday a “Day at the Bay” maybe spending the morning having a swim in the wading pool or a picnic on the foreshore, followed by a wander through the markets in the afternoon. Great to hear David – the afternoon / twilight time slot will help activate the town centre at those difficult hours and like the comments suggest above, will fit within a typical ‘family day’ on the Wynnum foreshore without directly competing with activities on the esplanade. Can I suggest to have a stronger emphasis on food and entertainment at the market? It would be great to designate an area within the market where families can sit down (very retro to sit on milk crates these days), listen to some live music and enjoy their food. Very similar to the layout of Hamilton’s Eat Street. I am obviously unsure about the costs and difficulties of setting up a small stage with lights and speakers etc but it could really act as an attraction as well as pull in the younger crowds. If it was all possible to get street food stalls similar to the Manly Farmer’s Market – I think that will be a huge crowd driver! If you look at what is on offer on a night at Wynnum – it’s fish and chips and one or two alternatives. I will travel anywhere for food! The first Saturday every month is easy to remember, plus it’s a fortnight apart from the Manly Jan Powers markets. It would be great to have good quality, good value fresh produce like fruit and veges, bakery, seafood, local coffee etc. so that we could replace our weekly grocery shop with buying fresh local produce, like the Wednesday markets in the city. Evenings are not as convenient for our family as we often have social things on in the evenings, but mornings are usually free.